Administrative Law Judge (ALJ) Clara L. Slifkin, Office of Administrative Hearings (OAH), heard this matter in South Pasadena, California, on October 24-27, 2011 and on November 1-2, 2011. 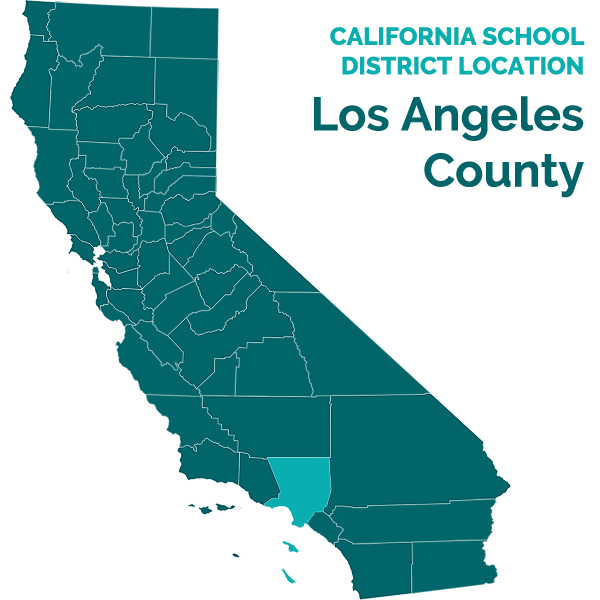 Adam J. Newman, Attorney at Law, represented South Pasadena Unified School District (District). Kendra Rose, director of special education, attended the hearing on all days. Student’s father (Father) represented Student. Student’s mother (Mother) attended the first day of hearing. On May 19, 2011, District filed a Request for Due Process Hearing (complaint) in OAH case number 2011050857 (First Case), naming Parent on behalf of Student as the respondent. On May 27, 2011, Student filed a complaint in OAH case number 2011060001 (Second Case), naming District. On June 3, 2011, Student filed a Motion to Consolidate the First Case with the Second Case. On June 6, 2011, District filed its own Motion to Consolidate the First Case with the Second Case and to continue the due process hearing dates set in both cases. On June 9, 2011, OAH granted District’s Motion to Consolidate, but denied District’s Motion to Continue. OAH also ordered that the 45-day timeline for issuance of the Decision in the consolidated cases would be based on the date of the filing of the complaint in the Second Case. On June 6, 2011, Student filed an amended complaint in the Second Case, and on June 13, 2011, OAH granted the Motion to Amend. On July 22, 2011, District filed a Motion to Continue, which OAH granted on the same day for good cause. OAH set a hearing on the consolidated cases for October 24-27, 2011. On the first day of hearing, Student withdrew the amended complaint in the Second Case and the District proceeded on its case.1 On October 27, 2011, the matter was continued until November 1, 2011. The record remained open until closing briefs were filed on November 30, 2011, at which time the matter was submitted. May the District exit Student from Special Education without parental consent because she is no longer eligible? 1. Student is a thirteen-year-old girl, who, at all relevant time, lived within the boundaries of the District. Currently, Student is in the eighth grade at South Pasadena Middle School (SPMS). 2. During the 2005-2006 school year, Student attended District’s Marengo Elementary School (Marengo). In the summer of 2006, the California Department of Education Diagnostic Center of Southern California (Diagnostic Center) assessed Student, and diagnosed her with selective mutism (an anxiety related condition that is not a speech and language disability) and social phobia (anxiety disorder). In addition, the assessment found a mild fluency disorder and articulation issues. 3. In January 2007, an Individualized Educational Program (IEP) team convened for Student’s initial IEP, and found Student eligible for special education under the eligibility category of emotionally disturbed (ED). The team agreed that Student should receive counseling and speech and language services, and developed five speech and language goals, and goals in the area of communication and behavior. Student’s parents (Parents) consented to Student’s IEP. Parents also requested that Student’s teachers keep Student’s special education status a secret in order to prevent Student from becoming embarrassed. 4. Pursuant to Parents’ request, the IEP team convened on June 14, 2007. At that meeting, the team found that Student suffered from a severe discrepancy in the area of written expression, and agreed to amend the January 2007 IEP to reflect a secondary eligibility category of specific learning disability (SLD). Parents consented to this amendment. 5. At an October 19, 2007 amendment IEP meeting, the Department of Mental Health (DMH) offered Student mental health counseling outpatient services. The team added these services, as well as resource specialist program (RSP) services, to Student’s IEP. 6. On June 4, 2008, the team convened Student’s IEP for the 2008-2009 school year. District offered Student counseling, speech and language, and RSP services. No evidence was produced as to the frequency and duration of these services. Parents did not consent to this IEP. 7. In June 2009, Student matriculated from Marengo to SPMS. In September 2009, District sent Parents an assessment plan for Student’s triennial assessments. The plan proposed assessments by the District in the areas of: (1) academics to evaluate current levels of performance in reading, written language, mathematics, pre-academic skills and/or functional skills; (2) social/adaptive behavior to evaluate what Student could do for herself and how she got along with other people; (3) language/speech/communication development to evaluate Student’s ability to understand and use language and speech clearly and appropriately; and (4) intellectual development to evaluate how well Student remembered what she had seen and heard, how well Student used that information, and how Student solved problems. Parents declined to sign the assessment plan. 8. In November 2009, District filed a Due Process Complaint requesting an order that it may perform Student’s triennial assessments without parental consent. On January 21, 2010, the parties entered into a settlement agreement where Parents agreed to and signed the September 2009 assessment plan, and Student’s triennial IEP meeting would become her new annual IEP meeting date. The parties also agreed that District would add to the accommodations/modifications section of the June 4, 2008 IEP that District would provide Parents with a monthly written communication log for RSP and counseling services that included dates of service, activity notations, and the length of each session. 1On October 18, 2011, Student filed a “Petition for Dismissal of [District] Due Process Hearing, 2011050857 For Cause.” Student contended that the District could not proceed with its case unless Student had been offered an independent educational evaluation (IEE) to challenge District’s assessments. Although Student could raise the IEE issue as an issue for hearing, there is no legal support for Student’s contention that an IEE must be offered to a parent prior to a school district requesting a due process hearing on an eligibility issue. 9. School Psychologist Nancy Zuckerman Goldstein (Goldstein), RSP teacher Prudence Levine (Levine), and Speech Therapist Angela Shin (Shin) conducted Student’s triennial assessment on February 19, 22, and 23, 2010, and on March 3, and 12, 2010. The triennial assessment was to determine whether there was evidence of continued disability; whether Student continued to need special education and related services; to determine Student’s present levels of performance; and whether there were recommendations for additions, and/or modifications to Student’s program to enable her to meet her educational goals. An assessment report, dated March 23, 2010, summarized the assessment results and made recommendations for Student. 10. Shin, who assessed Student’s speech and language on February 22 and 23, 2010, provided testimony at hearing. Shin is a speech and language pathologist, and has been employed with District since 2009. She received a bachelor of science in 2001 in psychobiology, and a master’s in public health in 2004 from the University of California, Los Angeles. In 2008, she received a master’s of science in speech and language pathology from the University of the Pacific, Stockton. She holds a credential to provide speech and language therapy in schools and a certificate of clinical competence in speech and language pathology from the American Speech-Language-Hearing Association (ASHA). Shin’s training and education made her qualified to administer assessments and to make recommendations regarding special education eligibility and speech and language therapy. 11. Shin’s speech and language assessment of Student was comprehensive. Shin based her results on a review of records, observations, discussions with Student’s teachers, and her administration of a variety of assessment instruments. When Shin observed Student in the speech room, in her classroom setting, and in the school environment, she found that Student engaged in age appropriate social communication. While in the speech room, Student responded appropriately to both structured and unstructured conversation. At times Student lowered her eye gaze, when she was thinking of an answer. While in the classroom, Student participated in reading out loud, working in groups, and game playing with peers. Student reported to Shin that she was shy but enjoyed interacting with her friends. Student’s report was consistent with Shin’s observation that Student required prompting to initiate conversations in class. 12. Shin reviewed Student’s last agreed upon speech and language goals dated January 19, 2007. Shin noted that Student’s goals focused on articulation of the “r” sound, fluency, and pragmatic speech. Student had met all speech and language goals by November 2009: 1) correctly producing the “r” sound; 2) establishing confidence by Student reading aloud outside and inside classroom; 3) participating in oral motor exercises; 4) modeling fluent speech; and 5) parents modeling fluent speech at home. Student’s speech was not impacting Student’s education. 13. Shin selected assessment tools that would measure Student’s oral language knowledge, articulation, and pragmatics. Shin administered the Comprehensive Assessment of Spoken Language (CASL) to assess Student’s oral language knowledge, processes, and skills. The knowledge and performance skills assessed by the CASL represent the kind of language abilities needed for success in academic settings. In the antonym subtest of the CASL, Student’s above-average score of 119 showed her proficiency in word knowledge, retrieval, and oral expression. In the area of syntax/morphology (word order in sentences) and supralinguistic (comprehension of complex language), Student’s scores in the average range on the CASL showed that Student had no deficits in these areas. 14. Shin administered the Goldman-Fristoe Test of Articulation (GFTA), which measured articulation, and all sounds and common blends across various positions in words. Student did not demonstrate any articulation errors. No errors were found in the areas of additional consonant blends, and “r” sounds. Student demonstrated 100 percent accuracy for “r” in words, sentences, readings, and spontaneous conversation. Thus, Shin concluded Student’s speech was highly intelligible on the conversation level, and demonstrated age appropriate articulation skills. 15. In the area of pragmatics, Student scored in the average range on the subtest of Pragmatic Judgment (use of appropriate language in specific situations). Student demonstrated her social communication skills and used language to express communicative intent, express her feelings, and initiate conversation. Student demonstrated pragmatic skills within the average range. Although Shin found some inconsistent delays in Student’s responses to questions, as well as her use of lower volume, Student’s voice and fluency were appropriate, and within the normal range for her age and gender. 16. Based on standardized tests and her observation of Student interacting with peers and in class, Shin concluded that Student had no deficits in voice quality, pitch, volume and resonance, and no deficits in speech fluency. As such, Shin found that Student failed to meet the eligibility criteria for special education under the category of language and speech disorder. Shin’s conclusion was supported by the evidence. 17. School Psychologist Nancy Zuckerman Goldstein (Goldstein), who conducted a psychoeducational assessment of Student in March of 2010, provided testimony at hearing. Goldstein has been employed by the District for 13 years. She received a bachelor of science in elementary education in 1989 and a master’s in educational psychology from the University of Wisconsin in 1997. In 2003, she completed course work at Texas Women’s University and earned certification in school neuropsychology. She holds a pupil personnel services credential required for employment as a school psychologist. Since 1998, Goldstein has performed assessments of students with learning disabilities, cognitive disabilities, emotional disturbance, other health impairments, and speech and language disorders. In addition, she has analyzed data, written reports, provided individual and group counseling services, consulted and collaborated with faculty and parents, and conducted classroom-based interventions. Since 2009, Goldstein has served as a Program Specialist which requires her to participate in the research, planning, development, implementation, and in the evaluation of programs and services to meet the needs of special education students. She also provides guidance and consults with staff, outside agencies, and the public concerning areas of special education, related instructional programs, services, practices, requirements, and procedures. Goldstein’s training, credentials and experience made her qualified to administer psychoeducational assessments in schools and make IEP team recommendations. 18. Goldstein used a wide variety of measures during her assessment of Student. She thoroughly reviewed Student’s records including prior assessments performed in 2006 by the Diagnostic Center. She observed Student, interviewed teachers, and administered the following tests: (1) Wechsler Intelligence Scale for Children-Fourth Edition (WISC-IV); (2) Developmental Test of Visual Motor Integration (VMI)-BEERY; (3) Piers-Harris Children’s Self-Concept Scale-2 (Piers-Harris); (4) Reynolds Adolescent Depression Scale, Second Edition (RADS-2); (5) Multidimensional Anxiety Scale for Children (MASC); (6) Roberts Apperception Test, Second Edition (Roberts-2); (7) Sentence Completion Task; and (8) Three Wishes. Goldstein did not interview Parents or request that they complete a behavioral survey. 19. During the assessments, Goldstein noted that Student was reserved and quiet, answered all direct questions, maintained intermittent eye contact, remained attentive on all tasks, did not demonstrate signs of frustration, and did not require redirection. In the classroom, Goldstein observed Student participating and contributing in a small group in math class. Goldstein discussed Student with her math teacher, who explained that at the beginning of the school year, Student would not respond when asked direct questions, but improved later in the year when she began responding to the teacher’s questions. In Goldstein’s discussion with Student’s other teachers, the teachers reported Student engaged in conversations with peers, performed well in the classroom environment, worked at the same pace as her general education classmates, and consistently completed class assignments. 20. Student showed average intelligence when tested in the area of intellectual/cognitive abilities. On the WISC-IV, Student scored in the average range on the assessment’s four indices, verbal comprehension, perceptual reasoning, working memory, and processing speed. Student obtained an overall full scale intelligence quotient score of 99, 47th percentile, which was in the average range. Her Verbal Comprehension Index scores (standard score [SS] 102, 55th percentile) and Perceptual Reasoning Index scores (SS 104, 61st percentile) fell in the average range. 21. Overall, Student performed in the average range on the WISC-IV Verbal Comprehension subtests. She performed in the upper end of the average range on the Verbal Similarities subtest (SS 12, 75th percentile) and on the Vocabulary subtest (SS 11, 63rd percentile). Student scored toward the lower end of the average range on the Comprehension subtest (SS 9, 37th percentile), that measured Student’s ability to understand general principles and social situations. Student also performed in the average range on the three Perceptual Reasoning subtests. Student performed in the upper end of the average range on the Matrix Reasoning subtest (SS 12, 75th percentile), that measured fluid intelligence, and was a reliable measure of general intellectual ability. On the Block Design and the Picture Concepts sub-tests, Student scored in the 50th percentile, which was in the average range. 22. Student performed at the lower end of the average range in Active Working Memory Index (SS 91, 27th percentile). Active working memory is an intermediate stage of memory function between short-term and long-term memory. The Digit Span (SS 10, 50th percentile) and Letter-Number Sequencing (LNS) (SS 7, 16th percentile) subtests comprised the Working Memory Index. Student demonstrated a weakness on the LNS, a subtest that involved sequencing, mental manipulation, attention, short-term auditory memory, visuospatial imaging and processing speed. 23. Student performed in the average range on the Processing Speed Index (SS 94, 34th percentile), which was comprised of time-limited tasks. She worked at an adequate pace on the Coding subtest (SS 11, 63rd percentile) but scored in the low average range on the Symbol Search subtest (SS 7, 16th percentile). Goldstein found that Student demonstrated some relative difficulties under timed conditions to accurately discriminate between visual data. 24. Goldstein administered the VMI to measure Student’s ability to look at a shape and copy it accurately. Student worked at a careful, slow pace, precisely copying the shapes. She demonstrated strength on this task, scoring in the Superior Classification (SS 124, 95th percentile). 25. Goldstein also focused on social-emotional assessments, in light of the 2006 Diagnostic Center’s diagnosis that Student suffered from selective mutism and a generalized social anxiety disorder. Goldstein administered the Roberts-2 to assess for social-emotional difficulties that adversely impacted learning, and measured Student’s perception of common interpersonal situations. The Roberts-2 was comprised of Resources Scales, Problem Identification Scales, Resolution Scale, Emotions Scale and Outcome Scale and their subscales. Goldstein presented Student with 16 stimulus cards depicting common situations, conflicts and stresses. On the majority of items, Student’s stories were of at least adequate length. Student scored within normal limits on the Resources Scales; identifying the resources Student could access in handling problem feelings and situations. Her scores on Support Other-Feeling and Support Other-Help subtests fell slightly below average, suggesting Student does not always view her environment as positive, protective, loving, helpful and/or responsive. On the Problem Identification Scales, which measured a hierarchy of problem solving skills, Student earned an elevated score on the Recognition Subscale, which indicated that Student did not always recognize her feelings or behavior in present situations. 26. Although Student scored within the normal limits in the Resolution Scale (adaptive problem solving skills) and Emotion Scale (anxiety, aggression, depression, and rejection) subtests, Goldstein found that many of Student’s stories depicted themes of death often related to male figures, and aggression towards male figures (father, brother). She also found that Student tended to ignore or misinterpret positive affection between adults. Goldstein reported that Student demonstrated the most trouble in the Outcome Scales; a measure of the ability to solve problem feelings and situations. Specifically, Student either did not cope with the problem adequately (nonadaptive) or Student’s proposed ending actually made the situation worse or more problematic (maladaptive). Based on the Outcome Scales scores, Goldstein concluded that Student did not adequately cope with problems. 27. Goldstein also administered the Piers-Harris, a self-concept scale utilized to assess self-concept in children and adolescents. The areas included in this rating scale were behavior; intellectual/school status; physical appearance/attributes; happiness/satisfaction; freedom from anxiety; and popularity. Student scored in the average range on all scales and in the low average range on intellectual/school status and physical appearance. Significantly, Student responded that she was good at school work, gave good oral reports, was an important member of her class, liked being the way she was, and had many friends. Based on Student’s responses, Goldstein concluded that Student’s self-concept (esteem) was good. 28. Goldstein administered the MASC, a self report designed to assess a variety of anxiety dimensions. The scales included Physical Symptoms (tense and somatic subscales); Harm Avoidance (perfectionism and anxious coping subscales); Social Anxiety (humiliation and performance fears subscales); Separation/Panic; and Anxiety Disorders. Because Student’s scores were slightly elevated in harm avoidance and anxious coping areas and perfectionism was slightly depressed, Goldstein found this pattern to demonstrate Student’s concern about making sure things are safe, but not necessarily perfect. However, Goldstein was most concerned about Student’s elevated scores in the areas of performance fears and separation/panic. Based on these scores, Goldstein concluded that Student was concerned about getting called on in class and reluctant in unfamiliar situations. 29. Goldstein administered the RADS-2, to assess Student’s overall affect/mood. Student scored in the normal range in all test areas: Dysphoric Mood; Negative Affect; Negative Self-Evaluation; Somatic Complaints; and Depression. Based on these scores, Goldstein concluded that there were no areas of concern regarding depression. 30. Finally, Goldstein administered the Sentence Completion Task and Three Wishes. On the Sentence Completion Task, Student portrayed a positive attitude toward school, learning, and peer relationships. Many of her responses related to speaking/talking and she recognized that people perceive her as being shy. Student’s three wishes expressed her desire for more leisure/relaxation time. 31. As a part of Student’s Triennial Assessment, RSP teacher Prudence Levine (Levine) administered the Wechsler Individual Achievement Test, Second Edition (WIATTII), to assess Student’s academic achievement. Levine, who provided testimony at hearing, has taught a RSP class at SPMS for 26 years. She received a bachelor of arts degree from the University of Michigan, Ann Harbor. She earned a certificate in business administration from the Harvard-Radcliff Program. She received a master’s in special education from California State University, Los Angeles. She holds a special education credential (learning handicapped), a multiple subjects credential, and a resource specialist certificate. She also earned an educational therapy credential. From 1981 to the present, Levine administered the WIATT-II about 300 times on students with learning disabilities, cognitive disabilities, emotional disturbance, and speech and language disorders. As an RSP teacher, her duties included assessing students, teaching classes, supervising learning labs, monitoring student progress and grades, and consulting and collaborating with general education teachers. Based on her education and experience, Levine was well qualified to administer the WIATTII, which she administered in accordance with the manufacturer’s instructions. 32. Levine administered subtests in reading, written expression, oral expression, math, numerical calculations and math reasoning. Student scored in the average range on the following subtests: Reading Composite, Word Reading, Reading Comprehension, Pseudo-Word Decoding; Mathematics Composite, Numerical Operations, and Written Expression. Student scored in the high average range in the following areas: Math Reasoning; Written Language Composite; Oral Language Composite; Listening Comprehension; and Oral Expression. Student scored in the superior range in Spelling. Levine reported that Student’s scores ranged from average to superior on the WIATT-II, commensurate with and above her estimated cognitive ability. Based on the above scores, Levine concluded that Student did not exhibit a severe discrepancy between her cognitive ability and academic achievement and did not meet the criteria for special education in the category of SLD. 33. Goldstein prepared a written report that included her findings and Levine’s findings. In her report, Goldstein carefully analyzed Student’s history, teacher comments, assessments, and observations, and summarized her findings. She accurately described Student as a reserved, quiet, cooperative, and responsive. Student’s assessments in the social-emotional area revealed that she experienced anxiety related to school performance, but that Student’s anxiety did not interfere with her ability to learn or make progress in the general curriculum. Goldstein wrote that Student’s self-concept was adequate and Student expressed a desire to have more leisure time to read and see friends. Goldstein found that Student viewed her mother and females as a support network, but sometimes did not view her support system as positive, protective, loving, helpful or responsive. Student was able to identify and describe problem situations, but Student’s proposed resolutions could actually make the situation worse or more problematic. 34. In her report, Goldstein methodically analyzed if Student met the criteria for ED eligibility and found that Student did not meet any of the criteria. Because Student earned at least average grades and met grade level standards, this demonstrated that Student had ability to learn and make progress. Because Student worked cooperatively in class, interacted well with peers and teachers, and made friends, this demonstrated her ability to build and maintain satisfactory interpersonal relationships. Student did not exhibit inappropriate behavior or feelings under normal circumstances. Student did not exhibit a general pervasive mood of unhappiness or depression, nor tend to develop physical symptoms or fears associated with personal or school problems. Student did not exhibit any emotional issues that impeded learning and she successfully accessed core curriculum. In light of the results of all Student assessments, Goldstein’s finding that Student did not meet eligibility for special education in the category of ED was supported by the evidence. 35. In her assessment report, Goldstein methodically analyzed if Student met the criteria for SLD eligibility and found that Student did not meet any of the criteria. She explained that Student was qualified in 2006 as SLD because there was a discrepancy between her cognitive ability and academic achievement in the area of written expression. In contrast, at the time of the most recent assessment, Student’s written expression fell within the average range. Both Goldstein and Levine reported that Student’s intellectual functioning fell within the average range and her achievement scores were in the average to above-average range. Student did not exhibit a severe discrepancy between her cognitive ability and academic achievement. Moreover, Student had never exhibited a disorder in one or more basic psychological processes that manifested itself in an impaired ability to listen, think, speak, read, write, spell or do mathematical calculations. Goldstein’s finding that Student did not meet eligibility for special education in the category of SLD was supported by the evidence. 36. The assessment report made the following recommendations for Student, all of which were either performed or could be performed, in the general education classroom without special education: (1) involve Student in outside activities (e.g., girl scouts, teen book club); (2) encourage Student to participate in class and cooperative work; (3) encourage Student to speak to her teachers after class or other break times if she needed clarification or assistance with homework; and, (4) the family to consider family counseling to improve relationships in the home environment. 37. The uncontroverted and credible testimony of District personnel showed that all standardized tests given to Student were appropriate, were administered according to the test instructions, were administered by qualified personnel and were not biased. Student was given a variety of assessment instruments and the assessment also included observation, record review, and teacher input. .
38. After proper notice, the IEP team convened on May 25, 2010 to review Student’s triennial assessments and discuss her continued eligibility for special education services. Mother and Father attended, and participated in the meeting. The other attendees included Assistant Principal Robert Yim (Yim), Goldstein, General Education Social Studies Teacher Sella Simonian (Simonian), Levine, Shin, Counselor Julia Hey (Hey) and General Education Math Teacher Todd Brown (Brown). District provided Parents with a written Triennial Assessment Report at the meeting. 39. Goldstein reported on Student’s assessments including Student’s comprehension and perceptual reasoning, working memory, visual-motor integration and social/emotional functioning. Levine reported on Student’s academic assessments, and Shin reported on Student’s assessments in language, articulation, voice and fluency. Consistent with their written recommendations, Goldstein, Levine, and Shin advised the team that Student was no longer eligible for special education services. 40. The District members of the team agreed that Student had made good progress both academically and socially. Student’s teachers, Brown and Simonian, reported that Student was thorough in completing her projects and homework. However, Brown reported that over the past three weeks, Student had difficulty completing her assignments. The IEP team discussed Student’s social-emotional skills. Simonian reported that Student seldom asked questions, but when spoken to, she was polite and appropriate. Brown reported that during this school year, Student’s ability to communicate improved and she responded to his questions. In contrast, Parents expressed their concern that Student was spending an excessive amount of time on homework and she was stressed. They also reported that Student complained about being pulled out of class to attend speech and counseling sessions. The team agreed to reconvene at a later time to further discuss Student’s eligibility. 41. On June 15, 2010, the IEP team reconvened to discuss Student’s special education eligibility, and to determine whether new goals and objectives, and continued services were necessary. The attendees included Parents, Chairperson Yim, Goldstein, Levine, Shin, Hey and Brown. District members of the IEP team agreed that during her sixth grade year (2009-2010), Student met all of the IEP goals set forth in her operative 2007 IEP, specifically in the areas of speech and language, behavior, and communication. Once again, the team reviewed and discussed the March 2010 assessments. District members of the IEP team reported that Student was cooperative, worked collaboratively, interacted with her peers, and spoke in class when called upon by her teachers. Student’s assessments also demonstrated that Student had the ability to learn, earned at least average grades, made progress, and accessed her education. 42. Although Student’s teachers reported that Student’s behavior was socially and emotionally similar to other sixth grade students, Parents painted a different picture. Parents expressed their concern that Student might regress, and insisted Student continued to have emotional problems that interfered with her academics, participation in class, and impacted her social relationships. As an example of Student’s emotional problems, Father explained that Student refused to participate in the band awards ceremony because it was too noisy. Although Parents had not consented to IEP goals since January 2007, Parents requested the team formulate new goals. 43. District members of the team concluded that Student was no longer qualified for special education under any eligibility category. Specifically, District members concluded that Student no longer qualified for special education under the SLD category because Student did not demonstrate a severe discrepancy between cognitive ability and academic achievement. The District members’ recommendation was based on the fact that Student achieved more than average classroom grades in her academic subjects, and had shown improvement from past years. In addition, because Student had met her IEP goals in speech and language, District members IEP team members concluded that Student no longer required speech and language services, as Student’s speech had no impact on her academics. 44. As for the eligibility category of ED, Parents expressed their concern about the assessment process, and criticized the District’s failure to elicit information from Parents regarding Student’s emotional behavior at home. Although District members agreed that Student was no longer eligible, District continued Student’s eligibility as ED, hoping that after another semester, Parents would have the time to see Student’s social and academic growth, and consequently alleviate Parents’ concerns about Student exiting special education. 45. No consensus was reached concerning future services for Student, so the frequency and duration of Student’s current services (i.e., counseling and speech and language services) continued. Parents expressed their concern about pulling Student out of class for services and asked that sixty-minutes of compensatory speech and language services not occur at this time. District staff recommended that Student receive no further speech and language services, while Parents disagreed and requested District consult with a Selective Mutism specialist. The IEP team agreed to reconvene in the fall of the 2010-2011 school year. 46. On August 27, 2010, Father sent an e-mail to District and requested the immediate cessation of school based services-group counseling and speech and language therapy. Father wrote that Student was embarrassed, stressed, and angry about being pulled out of class to participate in these sessions. Student feared that her constant absence from class would affect her academically and socially. Specifically, Student explained, “I don’t need support Dad; you don’t know how embarrassing and irritating it is that everybody wants to know where I am going. It makes me so angry.” Pursuant to Father’s request, when 2010-2011 school year commenced, District discontinued counseling and speech and language services. 47. On October 26, 2010, the IEP team convened to discuss Student’s progress and services in seventh grade, and to revisit the discussion concerning exiting Student from special education. The attendees included Parents, Chairperson Yim, Goldstein, Shin, Levine, and Simonian. District members of the team reported that, pursuant to Father’s request, District stopped providing Student with counseling and speech services. Because Student had met her goals and no new goals were developed, the team agreed Student should be exited from counseling and speech. In addition, District members of the team reported that Student continued to communicate well with her teachers and peers, and continued to perform well academically. Shin explained that from the assessments and observations, Student did not demonstrate an academic need for special education services. Moreover, Student’s grades had improved. Specifically, Student had earned A’s in Science, English, and Math, and a C in History. 48. Parents continued to insist that Student not be exited from special education because Student’s anxiety and communication problems due to Selective Mutism prevented her from making progress. Parents believed Student benefited from accommodations provided for her through special education and were concerned that Student would fall behind if she did not continue in special education. District provided Student with accommodations, such as sitting in front of the classroom and if needed extra time on tests. About forty minutes into the IEP meeting, Father began to read from a prepared text. Although he was asked to stop, Father refused to stop reading, and Chairperson Yim adjourned the meeting. 49. On March 30, 2011, District convened its fourth IEP meeting to discuss exiting Student from special education. Parents, Assistant Principal Yim, Goldstein, Levine, Shin, Brown, and Simonian attended and District Assistant Superintendent Steve Seaford (Seaford) facilitated the meeting. Brown reported that Student was doing well socially and academically, participating in all classes, socializing well with her peers, and making good progress in academics with several “A’s,” one “B” and one “C.” Parents continued to request that Student remain qualified, although pursuant to their request, Student no longer received services. Parents complained that because District ended the October IEP meeting within 40-minutes, they were not able to explain why they requested a temporary cessation of services. Although Parents did not want Student pulled out of class for services, they explained that Student continued to need speech therapy services to address her communication problems. Parents asserted that Student remained eligible, and required a behavior support plan (BSP) because Student was anxious at school and had tantrums at home when she was with her brother and Father. 50. Although District IEP team members continued to recommend exiting Student from special education, Seaford proposed that the team put into play three-to five-strategies to engage Student in class. The plan would be reviewed once a month for the remainder of the year and a written report would be presented to Seaford for review. At the beginning of eighth grade, the report would be given to Student’s teachers and progress would be monitored weekly by Student’s academic counselor. Parents did not agree with this proposal, no consensus was reached, the IEP team agreed to disagree, and the meeting was adjourned. 51. On April 18, 2011, Parents sent District an e-mail stating that they had not heard from the District regarding a date for a subsequent IEP meeting to complete the Triennial IEP to discuss services and goals. Parents explained that it was important that District schedule an IEP because Student’s last agreed upon IEP was in June 4, 2008, and Parents requested only a temporary cessation of counseling and speech services. In response on May 2, 2011, District sent a letter stating it would not schedule another IEP because Student’s Triennial was held on May 25, 2010 with three subsequent meetings, and Parents could appeal District’s decision that Student was no longer eligible for special education services. In addition, District informed Parents that it was considering filing a due process hearing request to determine Student’s continued eligibility for special education services. 52. During Student’s sixth and seventh grade years, Levine was Student’s case carrier. Levine assessed Student, attended her IEP meetings, and communicated with Parents about Student’s special education services. In sixth grade, because Parents requested that teachers keep Student’s special education status a secret, Levine did not see Student very often. During seventh grade, Levine had more contact with Student. Student came into Levine’s homeroom for Levine to check and see if Student had correctly written her assignments. Levine described Student as a shy, pleasant student, who would appropriately respond to her questions. Student was in a general education classroom, and received good grades without RSP services. Overall, based on Student’s assessments and Student’s progress, Levine concluded Student performed well, met grade expectations, and that nothing in Student’s assessment scores or profile demonstrated that Student continued to be eligible as a student with SLD. Levine’s testimony was credible and she was a thoughtful witness. 53. During Student’s sixth and seventh grade years, Brown was Student’s math teacher. Brown aptly described Student as shy, reserved, very bright and capable of doing the work. In the beginning of sixth grade, Student would raise her hand but when he would call on her she would respond with her head down. By seventh grade, Brown observed Student to use increased eye contact when speaking, feel comfortable responding to questions, improve her communication with students, make friends, and work well with a partner and in a group. At times, Student would need his help to find a work group, but this happened with all of his students. Student worked hard to earn good grades and she worried about doing her best. In sixth grade, Student was a “B” student, but in her fourth progress report, she received a grade of “F” because she failed to submit a project, and missed assignments. However, in seventh grade, she had better study habits, and in pre-algebra, which Brown considered demanding, Student was a straight “A” student. Brown did not perceive that Student’s shy and quiet nature interfered with her performance in the classroom. Overall, Brown believed during the two years Student was in his class, she “blossomed” socially and academically, and made very good progress. Brown was a credible witness who knew Student very well. 54. Nancy Beckham (Beckham) taught Student seventh grade Medieval History. Beckham was an experienced teacher who enforced strict rules and was a tough grader. Based on her decades of experience, her state teaching credentials, and her straight forward style, she was a credible witness. Because Student did not place her name on or was late on some assignments, Student’s grade in Medieval History was a “C.” Student did not require any more support than what was provided to all general education students. Beckham found nothing unusual about Student’s behavior. As examples, she recalled Student made eye contact when speaking, worked well in groups, and found students working on her research topic to form a group. Beckham described Student as shy, capable, and conscientious, and predicted that Student would be very successful. Beckham did not perceive Student as a special education student. 55. Sandra Wells (Wells) taught Student seventh grade English. Wells has been employed by the District for 40 years and for the past 25 years she has taught seventh grade English at SPMS. In Wells’s class, her students were required to “explore literature,” participate in public speaking, and write persuasive essays. She described Student as a lovely, hard-working, good student, who enjoyed talking to people around her, and participating in group work. Student was an “A” student who accessed the curriculum and was very much in charge of herself. As an example, Wells recalled that Student did an excellent five minute oral presentation on civil rights and she responded well to questions. Student was a typical seventh grader, who blended into class, and smiled. Student did not volunteer in class, but that was typical of three-fourths of her students. Student excelled in persuasive writing and public speaking. 56. At the March 30, 2011 IEP, Wells was the general education teacher, and she reported on Student’s performance in all of her classes. According to Wells, Student was comfortable presenting her work, and was current on her assignments. Wells was a persuasive witness who explained that Student did not appear to have an Anxiety Disorder. In fact, Wells found Student to be well adjusted, as she smiled, engaged in her work; and she was communicative. 2In Student’s complaint, which she filed on May 27, 2011, Student alleges that District committed a series of procedural violations, including the ones contended here. However, Student withdrew her complaint on the first day of hearing (October 24, 2011), and presented no evidence at hearing concerning District’s alleged procedural violations. As such, this Decision will not address any of these alleged procedural violations. 17. In conclusion, Parents are understandably concerned about Student’s academic potential and her anxiety, particularly in light of the 2006 Diagnostic Center’s findings. However, Student is not eligible for special education at this time and may be exited from special education without parental permission.